Join us for the largest annual gathering of business, government and community leaders as the Indiana Chamber celebrates outstanding business and legislative achievement. This year will feature two of the countries top political commentators in Donna Brazile and Dana Perino. 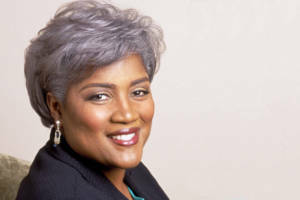 Donna Brazile has devoted her life to working for progressive change, responsible governance and the advancement of all people in society that is fair and equitable. She is a renowned political strategist and commentator, former Interim Chair of the Democratic National Committee (DNC) and a New York Times best selling author. She is also the co-author of the forthcoming book For Colored Girls Who Have Considered Politics. Dana Perino is a revered political commentator, New York Times best selling author and the first Republican woman to be the press secretary of the United States. She currently hosts The Daily Briefing with Dana Perino and The Five on the Fox News Channel. The Five has won is the fifth most-watched television program on all of cable. She is passionate about advocating for individual and economic freedom, especially for women. Tickets are non-refundable but fully transferable for this event only. Because all legislators are invited to this event, there is no need to report to the Indiana Lobby Registration Commission (ILRC), we will report for you! If you have questions or require confirmation of our report, please contact Nick at (800) 824-6885. Sponsorships are available for this event. Contact Jim Wagner at (317) 264-6876. Anthem Blue Cross and Blue Shield is the trade name of Anthem Insurance Companies, Inc. Independent licensee of the Blue Cross and Blue Shield Association. ® ANTHEM is a registered trademark of Anthem Insurance Companies, Inc. The Blue Cross and Blue Shield names and symbols are registered marks of the Blue Cross and Blue Shield Association.